From #1 New York Times bestselling author, Colleen Hoover. Lowen arrives at the Crawford home, ready to sort through years of Verity&apos;s notes and outlines, hoping to find enough material to get her started. What Lowen doesn&apos;t expect to uncover in the chaotic office is an unfinished autobiography Verity never intended for anyone to read. Page after page of bone-chilling admissions, including Verity&apos;s recollection of the night their family was forever altered. Lowen decides to keep the manuscript hidden from Jeremy, knowing its contents would devastate the already grieving father. But as Lowen&apos;s feelings for Jeremy begin to intensify, she recognizes all the ways she could benefit if he were to read his wife&apos;s words. After all, no matter how devoted Jeremy is to his injured wife, a truth this horrifying would make it impossible for him to continue to love her. 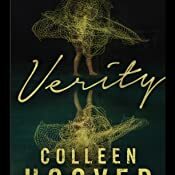 A standalone romantic thriller from #1 New York Times bestselling author Colleen Hoover. 5.0 out of 5 starsPart romance, part psychological thriller - wickedly good. Will blow your mind! Why did the author cross her genres? To get to the other side of course! That was so cheesy... nothing like this book! I am a "guess the ending" kind of reader... each twist and each turn I get wild haired ideas of what might happen. Sometimes I'm right, sometimes I'm not. For the record I was WAAAY off on this ending and I'm so glad! I won't give away anything that happens in the book other than to say I don't know what to believe anymore, take that as you will. 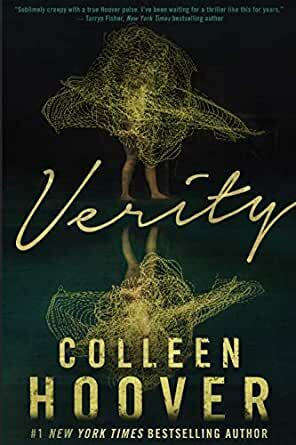 Colleen Hoover, your venture into the darkness has been amazing, I'm not sure if I should be thrilled or scared for you. What it does confirm is that you are far from mediocre, and I will most definitely read your shopping list on toilet paper. 5.0 out of 5 starsWhat did I just read? Wow! Just wow! What did I just read? 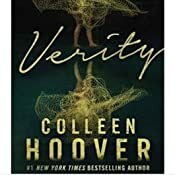 I cannot believe this is a Colleen Hoover book but I did really love the whole thriller which kept you on the edge of your seat. If you think this book is your usual Colleen Hoover love story, think again. Definitely an Adults Only read due to sexual contents and there were times I had to look away from my Kindle to absorb some of the freakish, scary scenes which involved children but overall a brilliant book that will want you reading more. I am not going to go into the whole story plot because I think it is better to go into this book blind and enjoy the rollercoaster ride. 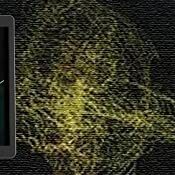 5.0 out of 5 starsThis book will pull you in !!! I couldn’t physically put this book down. Have you ever felt like you just couldn’t read fast enough; like you’re simultaneously both wanting the book to last a long time, but also you can’t get the information quick enough? Yep. This book right here. Mystery plus thriller plus romance equals a fantastic read, and I loved that at the end... You. Still. Couldn’t. Be. Sure. Well done! Highly recommended. WTF did I just read..... this book is everything I didn’t realise I needed. Even My husband was shocked with the amounts of faaaaaarrrkkkss 🤬🤬🤬 that left my mouth. This book and the ending is too much. Wow what did i just read! This book was equally disturbing as it was brilliant! Colleen had my mind and heart racing with anticipation with this story and these characters. An amazing thriller and love story all wrapped up in one disturbing brilliant bow!